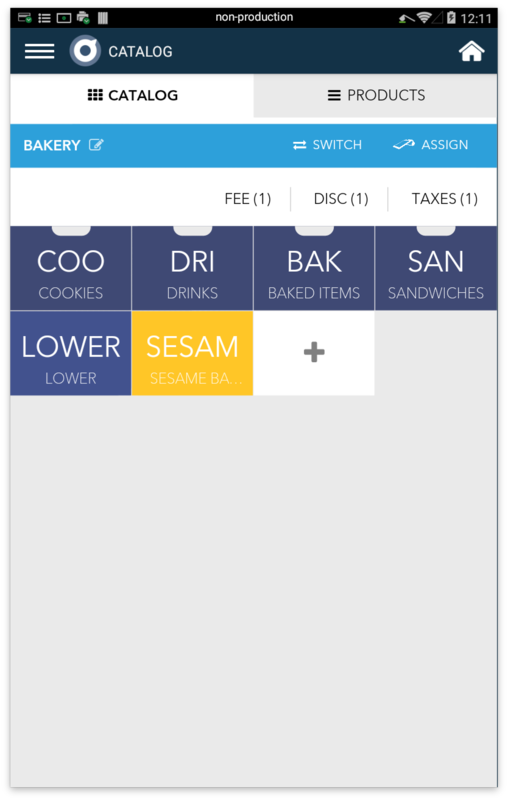 Taxes may be created in a Catalog to apply at the order level (left), or within a specific Category to apply at the item level (right). 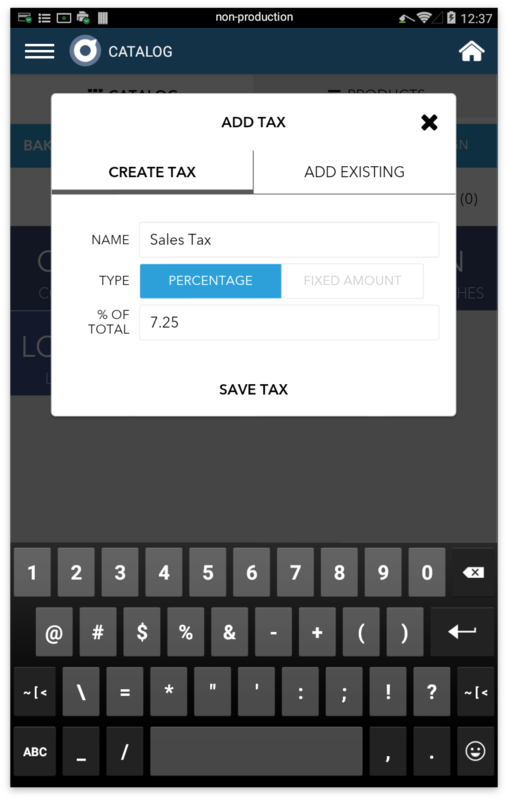 Step 1: To create or manage a tax, click on Taxes from the white row. Step 3: Specify a name for the tax. Determine if tax will be applied as a Percentage or as a Fixed Amount. 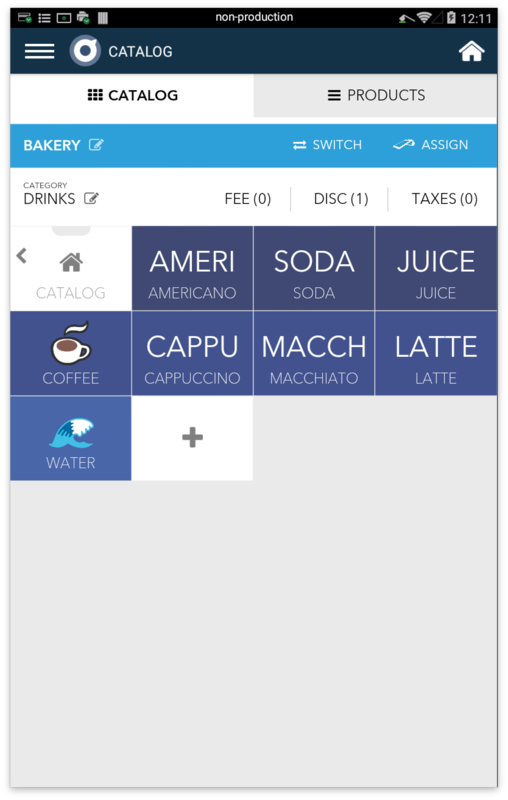 Add the tax amount and tap ‘Done’. 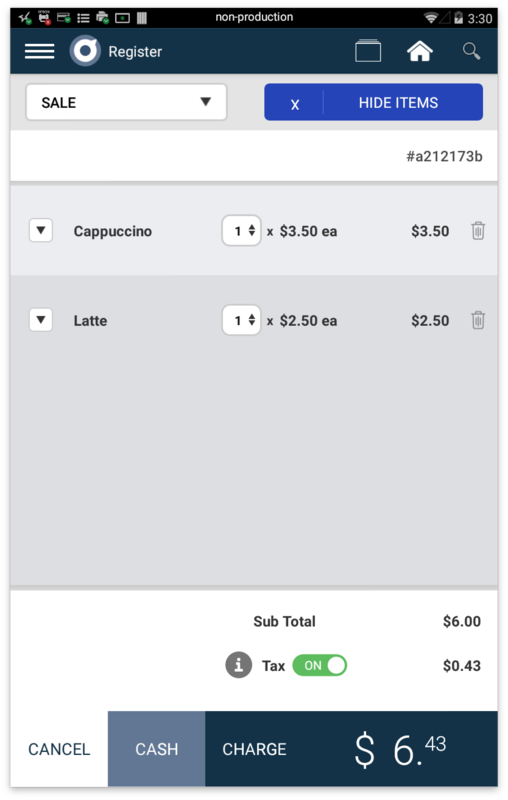 Once you create your taxes within a Catalog, they will be applicable on the item or order level in the Register app. 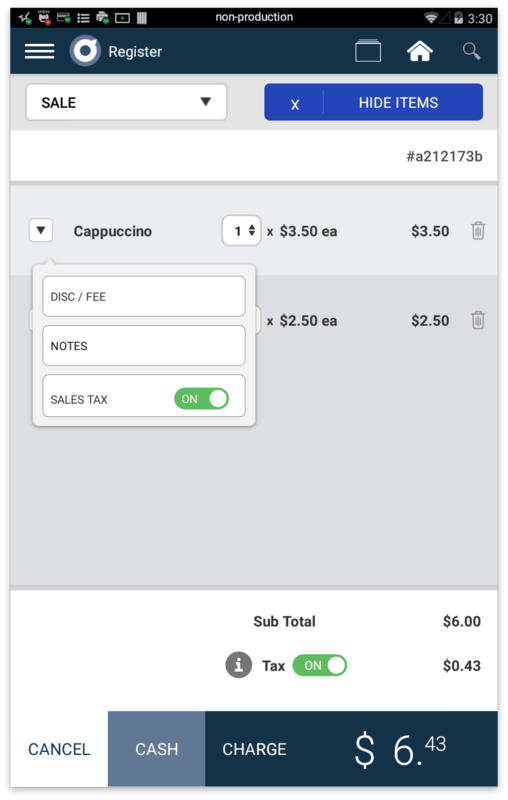 To apply an order level tax, you may use the tax toggle on the white row of buttons in Register app and/or beneath the subtotal in Order Details. 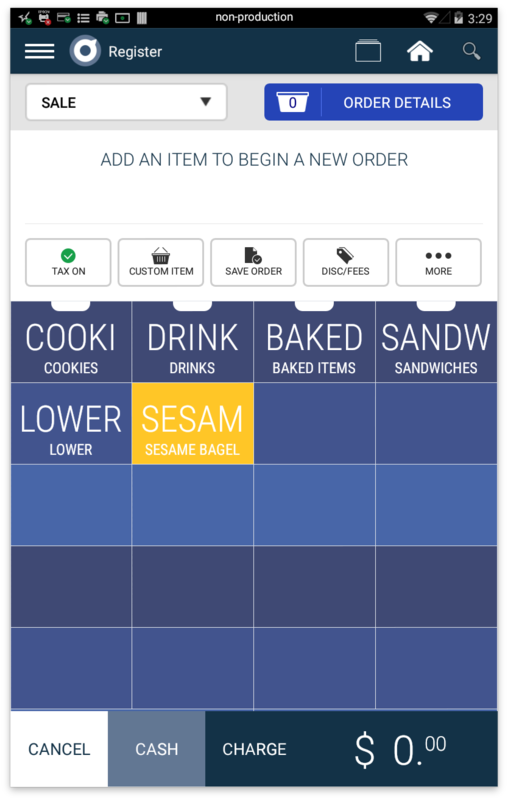 To apply a tax at the item level, select "Order Details" and click the more options dropdown to the left of the product. 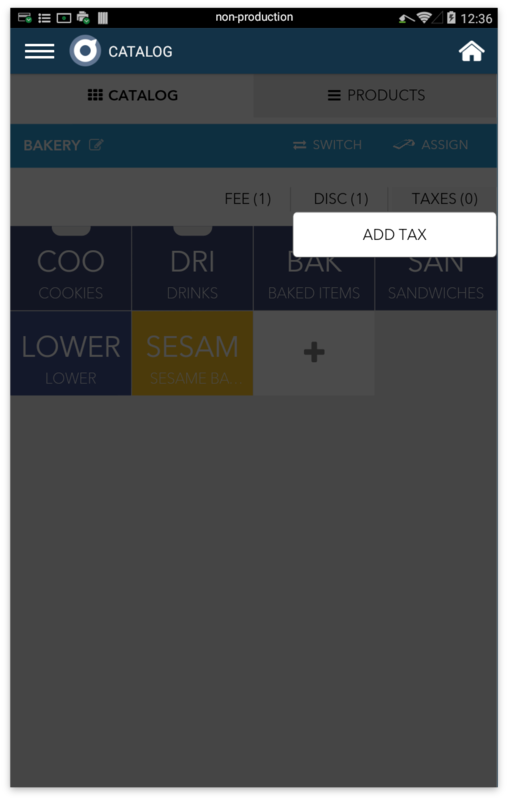 Any taxes that you've created may be toggled on or off on the item level here. NOTE: If there is no tax associated with the catalog that an item belongs to, you will not be able to toggle the sales tax option on or off on the item level.